We’ll always be proud to play our part in supporting local events in Newark. 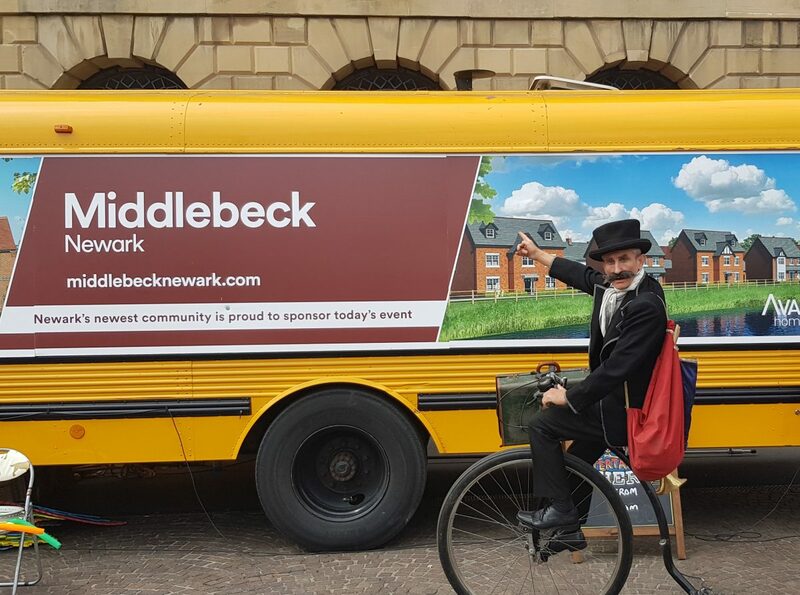 Middlebeck was a recent sponsor of the Newark Food & Drink Festival which took place in June. Around 15,000 people visited the event throughout the day, sampling high quality food and drink from 40 traders from the East Midlands and beyond. The market place was transformed into a circus, with a host of street performers touring the town centre. Face painters and local musicians entertained the crowds, with visitors commenting on the vibrant atmosphere the event brought to Newark. The day was a fantastic success and the Middlebeck team is proud to be associated with it. Middlebeck helped raise funds for local charities by sponsoring this year’s Newark Half Marathon which took place on Sunday 12th August. Some 800 runners took on the 13.1 mile course around the historic town centre, raising money for charities including Beaumond House Community Hospice, Newark MIND and The Children’s Bereavement Centre. Crowds turned out to cheer on the participants around the course, with a variety of local food and drink vendors keeping spectators refreshed throughout the day.